Author Martin Hentschel informed me that his latest book "Lass jucken! Die Kumpelfilme der 1970er" is on sale now. Not only is Ulrike featured on the cover, there is a chapter devoted to her as well! As I haven't read it yet, it's too early for any comments, although it's nice to see her being acknowledged. I'm excited to read the Butz-Part. But only 3 pages... I don't think there will be much news for us. And Rinaldo likes to talk...! 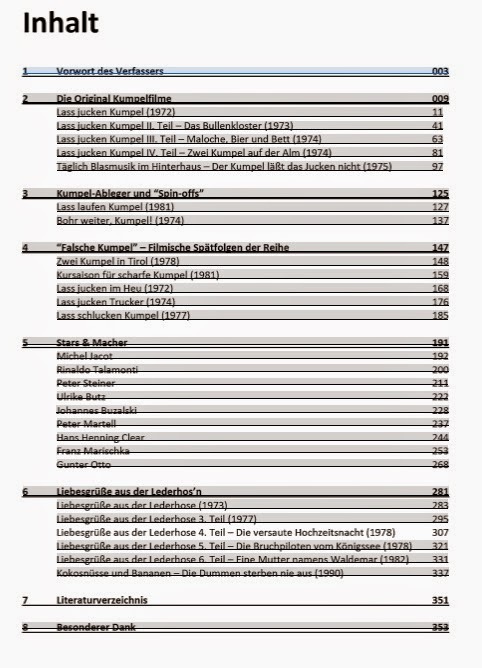 Das Ulli Butz Kapitel hat 7 Seiten. Aber sie kommt natürlich auch in den anderen Kapiteln vor: KUMPEL 1, KUMPEL 3, KUMPEL 4 und LASS LAUFEN KUMPEL. I'm eager to read it too, so I've ordered the book.